The games and exercises in the workshop Mental Health Benefits Of Improvisation Training are designed in the same way that improvisation warm-ups work for performers. They gradually enhance the sense of psychological safety in the group so that an unplanned, unpredictable social-emotional experience can be created in real time. By learning the skills improvisers use to tell stories together without a script, anyone can learn to be more adaptable, agile, creative and spontaneous on the stage of life. The games and exercises used in improvisation training are subtle and deceptively sophisticated ways to hijack the naturally-occurring “stranger danger” anxiety we feel in the face of the unfamiliar and lay down new pathways paved with distinct social-emotional memories, making them more available in real life stressful situations. Learning to do this kind of thinking and behaving with other people in a controlled, supportive environment trains the brain to manage anxiety, uncertainty and change with greater agility, ability and emotional stability. When anxiety, depression, grief or other psychological and emotional states are persistent, the self-protective stress response is easily triggered. Situations of uncertainty - real or perceived threats - or even just the challenges of making change activate the same fight/flight/freeze response as that evoked physical threats, and the brain goes into the same heightened state of tension. The focus of attention becomes more narrow, and activity in the pre-frontal cortext - which we need to be able to problem-solve, think things through and learn new information - is dramatically reduced. With less cognitive capacity, judgement is impaired and self-protective defenses go even higher. But research shows that we can learn to manage uncertainty and change without shifting into the stress response by strengthening the capacity to self-regulate and development of social-emotional skills. Much like a juggler learns to keep one ball in the air, then 2, then more and more complex objects, improv skills are a way to continually grow and strengthen skills for navigating increasingly ambiguity and complexity. The skills for dealing with with the unfamiliar provide a pathway for managing difficult life transitions and psychological struggles. 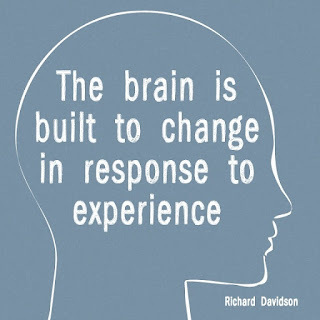 The social, emotional and cognitive engagement provided by improvisation experiences is an accessible way to shift out of the stress response in situations of uncertainty ignite the brain chemistry of reward and trigger the positive effects of face-to-face interaction. 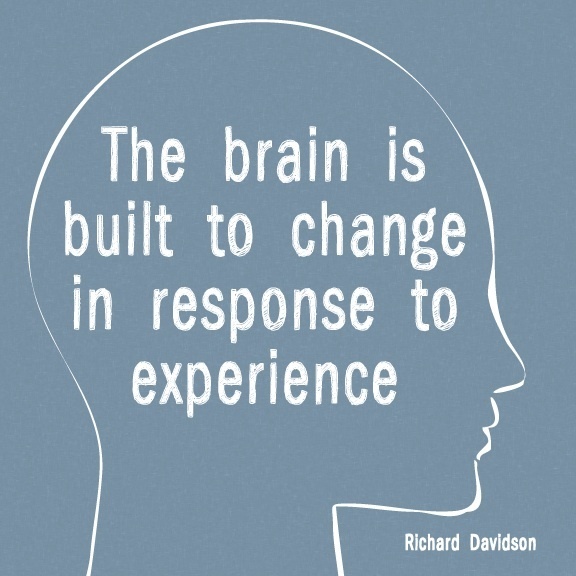 Properly designed creative interactions and games with clear structure but open-ended in terms of choice-making within that structure allow participants to shift out of the self-protective mode that is almost always operating in our social-emotional brain, especially in situations of uncertainty and possible threat as in a group of people we do not know. Improv redirects anxiety and self-protection to curiosity and creativity. We do this together, strengthening the depth of the shift through social support and a fun, possibly joyful experience shared with others. Each participant shares a story about their name, including meaningful details they care to include. As information about each person is revealed to the group, members chime in about similarities that emerge. We look for things we have in common and what we are learning about each other through this exercise. Layer 1: The groups stands in a circle. Leader uses left arm to make a sweeping movement toward the person to his/her right as if moving energy, while saying “whiz.” The next person does the same to his/her right and so on around the circle until a pattern is established. Layer 2: Continue as with layer 1, but now a player can respond with “Bop” which is the right arm with a fist and bent at the elbow facing the person who just passed the “whiz.” The right arm will be inside the circle for this move. “Bop” reverses the direction of “Whiz.” The action resumes, with everyone moving energy in a direction until someone “Bops” in which case the person who just passed it passes is back. This continues for a few rounds. Layer 3: A player can yell “Freakout” which cues everybody to start screaming and running to a different place in the circle. Layer 4: After a few rounds, the leader adds another choice of play. Participants can say a line from a favorite movie, in character. articipant to name their favorite movie or book, .e.g clicking heels together and saying “There’s no place like home” and everyone in the group repeats the phrase and movement. Players stand in a circle. Player 1 makes a simple facial expression with movement and sound and directs it to the person on the right. The next player imitates this expression, movement and sound as closely as possible and “sends” it to the next person in the circle and so on. The objective is to take what is offered, accept it without judgement and add a little of “self” to it in passing it along. The players heighten what is offered but just slightly. Intensify the elements of it little by little. The dynamic in the group will lead to a heightening in different ways — greater volume and large movement leading to smaller movement and less volume with more intensity. Group members stand in a circle. Player #1 makes eye contact with another player, who responds by saying “yes,” then moves to take that player’s spot in the circle. The player who said “yes” must seek out eye contact with another player, wait for him/her to say “yes” then moves to take that person’s spot in the circle. The movement can start slowly and then pick up momentum as a rhythm is established. Debrief: This kind of dynamic interaction, with no content and a simple structure, is a mirror of the flow state between partners on a team, group members giving and receiving to one another, or the give and take between therapist and client. The exercise is a way to enter into a heightened state of awareness and attentiveness to the action within the group, just as an improviser must do in a scene and a responsive partner does in real-life communications. An ordinary household item is chosen, e.g. an umbrella, a flashlight, a water bottle. Player 1 uses the item in some way that transforms it into something, e.g. an umbrella becomes a police baton, a large microphone, opened up and reversed it becomes a bird bath. The idea is to let the imagination lead us to see the same item in some new way and relate to it that way. Try to do a few rounds with the same item, then find a new one. Using the same item in a novel way triggers the curiosity/reward system in the brain. Players sit in a circle. Each person in turn shares specifics about some ordinary, mundane activity done in the course of an average day, starting with the words "I don't want to brag." For example, "I don't want to brag but I stood in line in a coffee shop for a minute, and then told the barista exactly what kind of coffee I wanted and then I paid for it." Or "I don't want to brag but I drove the speed limit all the way from my house to my office today." The idea is heighten the pride the person is expressing through physical, facial and vocal expression and at the same time describe the mundane details of the task. After everyone shares one of these, the group returns to each of them to explore what kind of person would actually take pride in this "accomplishment." If this person was in a relationship with an individual or group, who would be receiving this information and how might they respond? The line is repeated in just the same way as it was originally spoken, and a group member responds in character, e.g. Player 1: "I don't want to brag but I stood in line in a coffee shop for a minute, and then told the barista exactly what kind of coffee I wanted and then I paid for it." Player 2: After 10 years in prison its got to feel pretty good to ask for what you want. And I'm glad you paid for it because otherwise I'd have to violate your probation. Explore other possible relationships in which this exact sentence would be an appropriate thing to say, e.g. Player 2: I told you my seminar would change your life! One day you're walking over hot coals, the next day you are speaking up and getting exactly what you want! 3 or 4 chairs are set up to be the park bench. Two players sit on the bench as if they are 2 people having a conversation. The Oscars - are we for or against? Player A decides on a point of view and then just freely shares with Player B about that point of view, making as strong a case as possible. Player B engages by listening. After a few minutes of this monologue the players switch sides of the bench and return to their conversation. Player A again does a monologue, this time take the exact opposite view and making a case for this different perspective. Player B supports and engages by listening. 2 players sit on the bench and this time Player A is delivering some news to Player B in a monologue. Player B listens without comment. The news is assigned by the trainer, e.g. Player A improvises a monologue based on the suggestion, making a case for why this decision has been made. Player B listens. Then Player B does a monologue in response, and this monologue will reveal the relationship between the players. Player A: I'm no longer celebrating birthdays. Its just a waste of resources and I don't believe in it etc. Player B: I hope you're still going to come to my 13th birthday Mom. I'm becoming a teen. I love birthdays...etc. This exercise is a heightened, performatory experience of what happens in real life when we co-create dynamic interactions and discover moments with other people. To do the exercise both players must allow inspiration to rise up and to follow it. The capacity to listen closely and support another person while "onstage" in front of the group strengthens creative confidence, the ability to self-regulate and skills for navigating uncertainty in real-life scenarios. Jude Treder-Wolff, LCSW, CGP, CPAI is a trainer/consultant and writer/performer. She is host/creator of (mostly) TRUE THINGS, a game wrapped in a storytelling show that features true stories, with a twist, told by people from all walks of life, ages and backgrounds and co-creator of MASHUP-Stories Into Songs.